Enjoy one of Toronto's only pedestrianized areas: Toronto’s Distillery District. Learn about the area's interesting past as North America's largest distillery and one of the city's biggest employers. This is also where Canada’s first local sake brewery is located, you wil have the opportunity to visit after the tour. Next, delve into all things sake with a premium tasting flight of 5 Japanese Sake. Sake is famously food friendly, discover this first hand with traditional and modern ‘izakaya’ dishes from Boku Noodle Bar. Your guide will teach you the ingredients that go into sake, the history and the laws of the drink, and the process of how it is made. 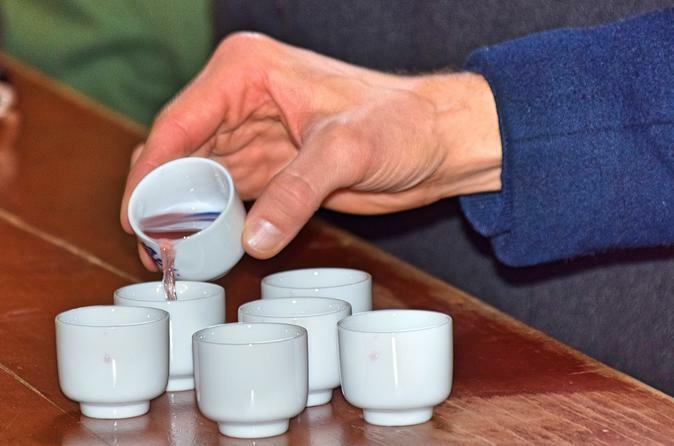 Learn to how taste sake properly and to discern between styles and leave a true sake master!